Viral Music Video, "Just Say No to GMO"! Great video by the Health Ranger! "Just Say No to GMO"
California Food Police Raid Organic Food Store, Guns Drawn! The California food police are completely out of control! 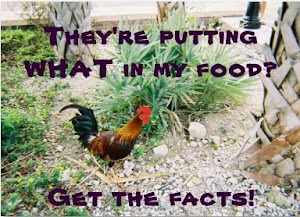 Pending Food Shortage - Be Prepared! Humble Seed's Facebook Page Additional Resources for Non-GMO Foods are available at http://responsibletechnology.org and include the following brands, retailers and suppliers: New Chapter Organics Whole Foods Amy's Cascadian Farms And many, many others! Non-GMO Shopping Guide makes grocery shopping easy! It seems evident we are destined to have a food shortage and a run on emergency staples in the near future. Your chances of survival during a 6 week hyper-inflationary period and food shortage will be greater if you follow some simple guidelines now. Stock up on clean drinking water! Bottled water will go off the shelves before anything else. We witnessed this after Hurricane Katrina a few years ago. And in just the past year, we saw this happen after floods in Georgia and Massachusettes where residents were without running water for days. Local supplies of bottled water were scarce, and people had to line up for rationed supplies. As shown in the video here, shoppers were fighting over the few bottles remaining in the stores. For optimum health, try to find water that is fluoride-free. Purification through osmosis or distillation is best. A gallon of purified water is usually about a dollar at the grocery store... currently. Once the crisis hits, it will go up! If you have a good water filter, start bottling water now and keep it in a safe place. Much of the food we purchase at our local grocery stores is shipped in on trucks. If there is a gas shortage or labor strike, shipments will be delayed, possibly for several weeks. It's also healthier to grow your own food or shop from your local farmers' markets where natural, whole foods - free of pesticides and genetically modified organisms - are more abundant. Buy seeds now! Seeds will become a key factor to growing your own food and and will become scarce in the coming months. 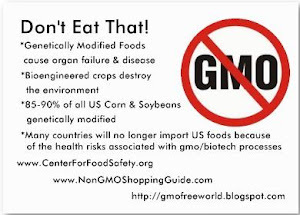 Big Ag seeds (genetically modified seeds from Monsanto, Sygenta, etc.) are not the seeds you want to purchase. They are genetically altered and designed to soak up pesticides and herbacides instead of relying on nature to produce healthy crops. Look for heirloom, organic or Non-GMO seeds. Stay away from weed-killers and herbacides such as Roundup as these products contain high levels of toxins and were designed to work with genetically modified seeds. Now the manufacturers and consumers are coming to the horrific realization that these harmful chemicals have only made matters worse by creating "super weeds" and producing smaller yields of crops than if they had used natural seeds, fertilizers, etc. and not relied so heavily on pesticides and herbacides for farming. Purchase food reserves with a long shelf life for emergency. Start now! There will be times when crops are out of season or you may not have yet harvested enough food to last throughout a crisis. There may also be a period of time when you won't have power or optimal storage to preserve what little food you do have on hand without it perishing. There are resources where you can obtain food that requires no refrigeration and has a long shelf life to feed your family during these difficult situations. You will want to make sure you have enough food on hand to feed your family for at least six weeks. Gates Foundation & Monsanto Ties - Sign the Petition! Conflict of interest - this is newsworthy. Many fed-up consumers and citizens are not happy with the Gates Foundation's ties to Monsanto when it comes to solving the world's hunger problems. And rightly so. "As readers of this blog and those in the real food movement know, the FDA has a mission. They have blatantly stated that you have no right to consume foods of your choice, and the FDA Plant and Dairy head has a documented Howard Hughes like fear of raw dairy. They are happy to use their resources to “protect” you from consuming things that don’t make any one ill. They’ve reduced science to superstition. If they get more power through S.510, they will regulate the family farm and real food to death and give you Cheez Whiz and Twinkies as government approved food." "Morningland Dairy has been tested and been found free of pathogens according to their blog (excerpt to follow). My question is this: was thecheese properly handled and refrigerated at the retail store and by the FDA after it was seized? If there is a problem at Morningland Dairy, wouldn’t theyhave found the bacteria when they took all those samples? Despite ALWAYS being compliant with govt rules and regulations, and despite the fact that the FDA found NOTHING wrong at their dairy (if there really is a problem, it’s out in California! ), Morningland has been forced to recall and embargo their cheeses based on a sample taken from a cheese that was seized in California (four months after it left Missouri) – and not tested until FIFTY FIVE DAYS after the sample was seized. Now, despite the fact that the FDA took over 100 swabs of the dairy, and ALL the samples tested came back 100% free of pathogens, the FDA and the Missouri Milk Board have declared that Morningland Dairy must DESTROY ALL 50,000 pounds of their cheese product sitting innocently in their coolers. (This in addition to all the cheese destroyed due to the recall.)" October is the 1st ever National Non-GMO Month! Tomorrow, 10-10-10 is National Non-GMO Day. Show your support by participating in events in your local community. Find creative ways of your own to show support and spread the word! GRIST: Obama Taps Food Industry Exec for Top Ag Research Post. If this doesn't upset you, it should! They're putting a former CANDY exec in charge of Agrigulture. The revolving door keeps going in its viscious cycle.